Every client looks up for creativity and acknowledge something which has not been observed and seen by the masses before. While designing, technicality is one thing but being skillful enough to carry it out is another thing. Make sure that being a designer you fully know what you are making, why you are designing, To Whom It May Concern and what is the main purpose of it? Because in that way, it will be easy to operate the task and bring out the best thing consequently. Anyways, talking about our today’s post which is obviously a freebie for all those designers who have been looking up for a mockup. 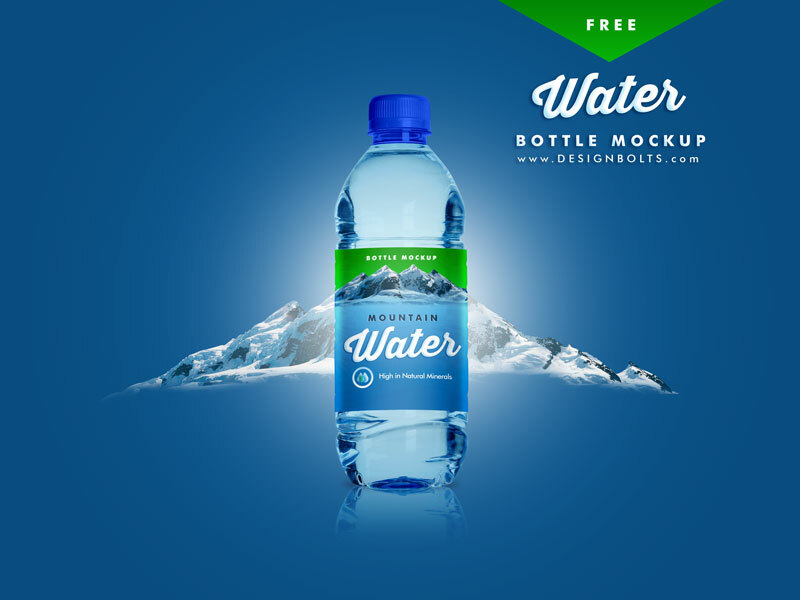 Check out this free premium PET water bottle mockup PSD that can be used for both commercial and personal projects. Just insert and put it the name of the company, logo or label design and it is ready to serve you in a well-built presentation. Mockups give a crisp and crystal clear idea that how a product is going to appear in the practical form. This gives an insight that what needs to be changed and reformed to make it a perfect depiction. Ever since this is a mockup of a water bottle then plenty of ideas can be implanted, you may use blue and aqua colors to portray the feel and essence of water through the packaging that will just add to the meaning and stance of the product. For more exciting and amazing collection of freebies regarding art/tech and design stay united. We have stunning stuff for you all lined up. Fasten your seat belts to enjoy the daily ride of the blog. We love to bring the best and useful stuff for you all. Here we go.